Sometimes no amount of sleep, cucumber slices, or creams can get rid of puffy eyelids. No matter lively you feel and how spirited you might be, puffy eyelids will tell the world that you’re tired and exhausted. But that doesn’t mean you have to live with them. Enough is enough–if you’ve suffered from puffy eyelids, there are things you can do. With a procedure like the lower blepharoplasty in the Inland Empire’s Second to Creation, you can permanently eliminate puffy eyelids and turn back the hands of time. By altering the excess skin and fat responsible for creating puffy eyelids, a lower blepharoplasty can help you attain a livelier look. Dr. Machida is renowned for his breathtaking work with the lower blepharoplasty (also referred to as lower eye surgery.) Having performed over 10,000 facial cosmetic procedures throughout his illustrious career, Dr. Machida has the expertise to create natural-looking, long-lasting results. 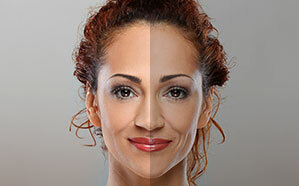 Dr. Machida understands that, when you finally look as vibrant as you feel, you gain a new lease on life. Knowing full well just what each patient entrusts in him, he carefully personalizes each procedure to ensure the results look right and natural for each patient. Moreover, he’s dedicated to ensuring that each patient feels safe and supported throughout their journey with Second to Creation. Am I a Candidate for the Lower Blepharoplasty? Dr. Machida prides himself in creating a peaceful experience for his patients. Almost every aspect of his practice, from the consultation to the recovery, was made to nurture his patients. When you arrive at our private medical center, you’ll speak with a consultant about your procedure and then meet with the surgeon himself. The consultation is the perfect time for you to bring up questions and concerns, and you can rest assured that Dr. Machida will answer every question as clearly and honestly as possible. We want to empower our patients to make the right choices, and that begins by educating the patients as much as possible. The next step in the consultation is an evaluation of your medical history. Dr. Machida will then analyze your eyelids to help him plan and customize your lower blepharoplasty. Once the evaluation is over, he’ll give you thorough instructions on how you can best prepare for the surgery and the recovery period. Your lower blepharoplasty will be performed in Dr. Machida’s private medical center. It’ll also be performed under local anesthesia, so patients can enjoy a quicker recovery immediately after the surgery. There are two ways to perform a lower blepharoplasty: the transconjunctival blepharoplasty and transcutaneous blepharoplasty. In a transcutaneous blepharoplasty, Dr. Machida will make an incision along the lower lash line. Then, once Dr. Machida has access to the fat pads in the lower eyelid, he’ll remove or redistribute them to give the lower eyelids a smoother surface. Only a minimal amount of skin is removed in most cases. In a transconjunctival blepharoplasty, Dr. Machida will turn out the lower eyelid and create an incision inside its inner lining. Then, he’ll remove or reposition the lower eyelid’s fat pads. For both approaches, Dr. Machida will close the incisions with dissolvable sutures. Dr. Machida oversees every patient’s recovery from surgery. After their procedure, many of our patients are asked to return a week and a month after their surgery. Dr. Machida also gives out customized instructions for every patient to ensure their recovery is as successful as possible. Since every lower blepharoplasty is customized for every patient, Dr. Machida will create a personalized recovery schedule just for you. 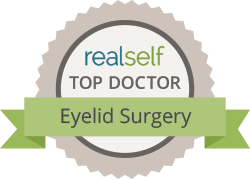 Many of our patients recover from the lower blepharoplasty quite quickly. They’re usually able to return to work after seven days, and the residual side effects tend to dissipate after a few weeks. Patients do experience some swelling, bruising, dryness and tearing in eye, and sensitivity to light, but these side effects are quite tolerable. After a few weeks, a majority of the swelling should dissipate, and patients should be able to see their full results. Your eyelids are responsible for protecting your eyes; they allow you to focus your vision and give you a look that’s all your own. When it comes to changing your eyelids, you shouldn’t trust anything less than a board-certified, facial plastic surgery specialist like Dr. Machida. He has the keen insight into facial aesthetics and the experience to help you preserve your unique appearance. All of us at Second to Creation want to reveal the beauty inside every one of our patients, and that means protecting the very things that make you unique. With Dr. Machida’s lower blepharoplasty, you can finally look as lively and vibrant as you really feel. 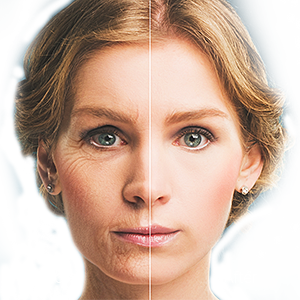 If you’re tired of looking tired all the time, contact Second to Creation now or call (800) 303-9541 for a consultation. Can I Combine the Blepharoplasty with Other Procedures? The lower blepharoplasty can be easily combined with other procedures like the upper blepharoplasty, the facelift, and other facial procedures. Puffy eyelids can either develop due to aging or genetics. They’re really caused by pockets of fat that stick out from underneath the lower eyelids. As we get older, the tissues surrounding the fat deposits become too weak to hold the fat deposits down, and eventually, the fat pads start to protrude out. How Do Puffy Eyelids Develop? 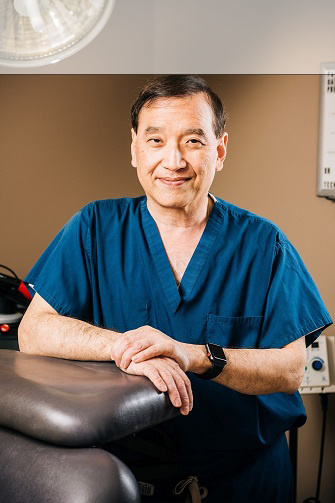 Dr. Machida takes great pain to reduce the possibility of scarring for all his surgical procedures. It’s why each incision in the lower blepharoplasty is expertly hidden inside the eyelid or beside the lower lash line. Any scarring from a transconjunctival blepharoplasty won’t be visible at all, and any scarring from transcutaneous blepharoplasty will be obscured by the lash line. The results from a lower blepharoplasty should be permanent, but of course you will continue to age after your procedure. The best way to maintain your results is by taking care of your skin. A good skin care regimen, avoiding excess sun exposure, and a healthy lifestyle can help you slow down the effects of aging.